A number of NGOs (non-governmental organizations) have been exploiting the complex issue of Bedouin land claims in the Negev to demonize and delegitimize Israel, including Negev Coexistence Forum for Civil Equality, Adalah, Association for Civil Rights in Israel, Bimkom, Rabbis for Human Rights, Human Rights Watch, and others. As seen in NGO Monitor’s report, “NGOs and the Negev Bedouin Issue in the Context of Political Warfare” (November 6, 2013), the activities of political advocacy NGOs have increased significantly, particularly after 2010, including reports, calls for action, media visibility and lobbying in frameworks such as the European Union and the United Nations. These NGOs use inflammatory rhetoric with unsupported claims, accusing Israel of “apartheid,” “ethnic cleansing,” “racial discrimination,” “disinheritance,” and “human rights violations” against the “indigenous” citizens of the Negev. 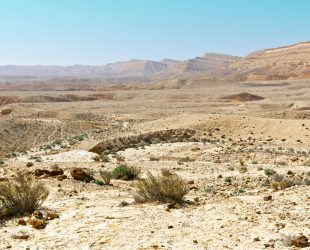 Many NGOs conflate Bedouin issues with the broader Arab-Israeli conflict, in an effort to isolate the state of Israel in the international arena, as epitomized by the 2001 Durban Strategy of demonization. Professor Gerald Steinberg noted in his presentation to the Knesset Internal Affairs Committee that, in 2012, approximately NIS 10 million in foreign government funding was provided to highly politicized NGOs, many of which lobby the same governments from which they receive funding, while excluding Israeli officials and dissenting views.